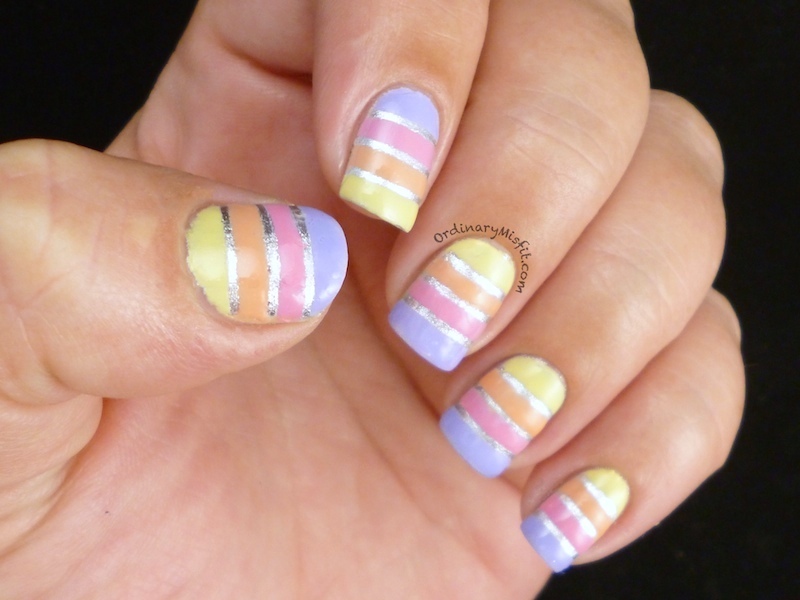 For Valentines day I did a similar striped look which I found via pin on Pineterest. You can see that here. I decided to just change up the colour a little bit to suit the easter theme. See, I told you you could switch up in many many colours 😉 **Edited to add** Even though I was completely unaware of it at the time, I have since seen Running With Lacquer has done almost exactly the same thing that she posted on Instagram. She definitely deserves the credit! in that order. Except on my ring finger where I reversed the order. I did one nail at a time and made sure to pull off the tape as quick as I could. You can probably see on my pinky I made a little oopsie where the polish ‘leaked’ under the tape. 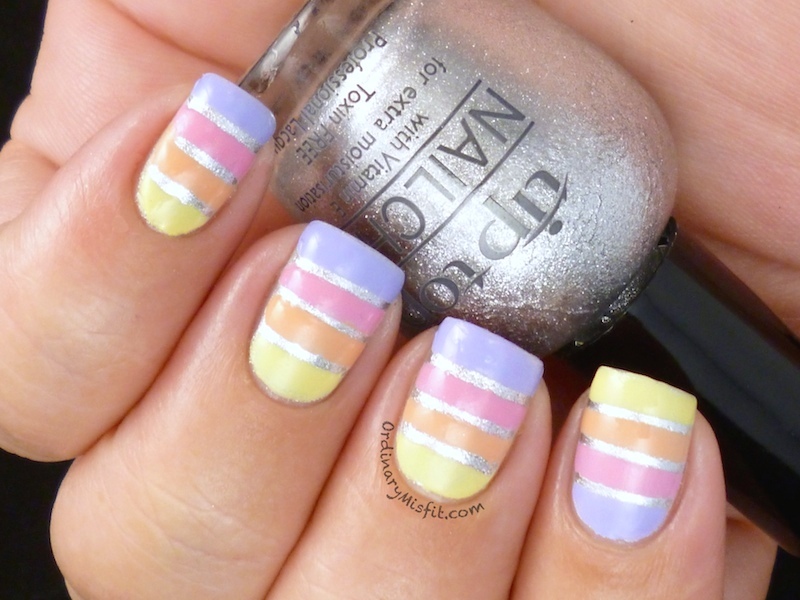 I really like this stripy look. I liked it for valentines and I like it for easter too. What do you think of it? What colours would you have used? What other occasion would you use the stripes for? 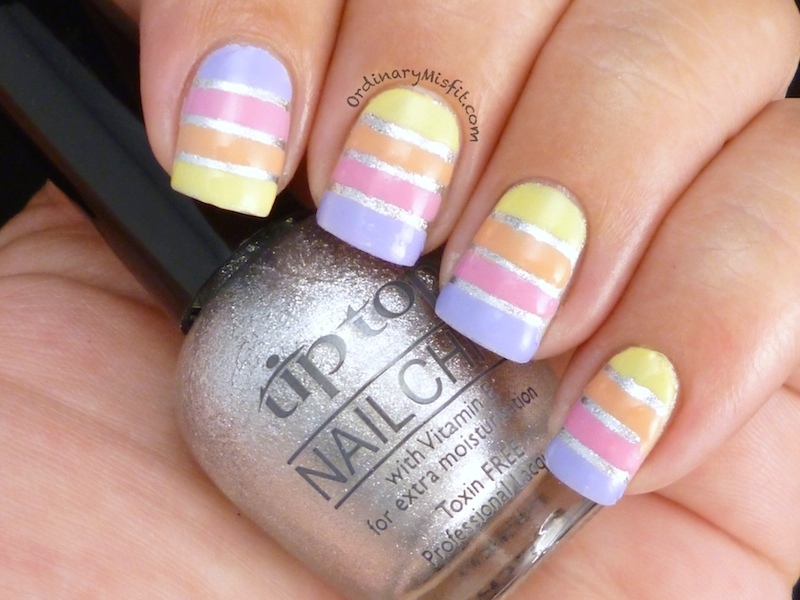 I have entered the Nailpolis Easter nail art contest. If you have a minute to spare, please could you pop on over here and cast a vote. Thank you so much. Very pretty 🙂 Congrats on your Godson! Thank you so much Kerry. I am so stoked. just wish I could meet him already. Your lines are always so straight. Amazing! Also congrats on your godson! Aww thank you! He’s too precious.